Showing results by author "Tamsen Garrie"
Attraction is already working for you and your business, whether you're aware of it or not. You are already attracting the people, circumstances, and outcomes in your business through your activity, be it your internal activity: your desires, beliefs, thoughts, and feelings; or your external activity: your language, behavior, and actions. 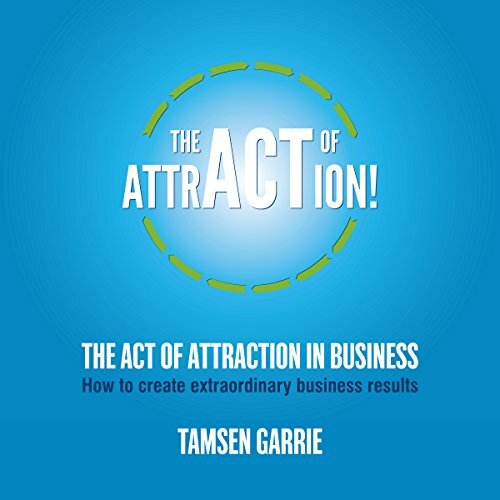 Tamsen Garrie combines the powerful combination of sound business acumen with an inherent understanding of people to bring you The Act of Attraction, a holistic and practical approach to creating the business you want. Changed my business and me!